active pharm indgredients and excipients, and as water treatment media. other uses include extraction and purification of enzymes, hormones, alkaloids...etc. 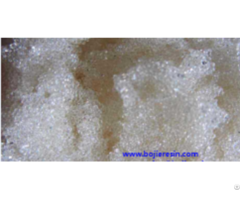 Business Description: Suzhou Bojie Resin Technology Co.,Ltd specilaizes in production,research and development and marketing of ion exchange resins and adsorbents branded with Bojietech and Bestion. Manufacturing operations in China provide a range of over 400 products, 60000 cubic meters of annual production capacity to satisfy the various demands of the domestic and international market place,with most of the output exported to more than 80 countries and regions.